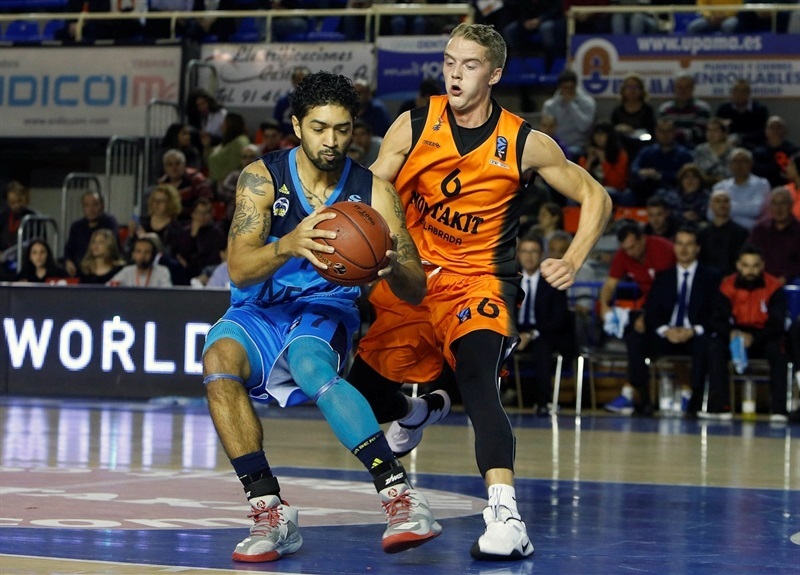 Montakit Fuenlabrada routed ALBA Berlin 105-80 on Wednesday at Fernando Martin. Both teams now have 3-2 records in Group C, but Fuenlarada now has the head-to-head tie-break advantage between them. Ivan Paunic starred with 23 points and 7 assists for the winners, Ludde Hakanson scored 19 points on 5-of-6 three-point shooting, Rolands Smits scored 15, Luka Rupnik 12 and Ian O’Leary collected 9 rebounds. 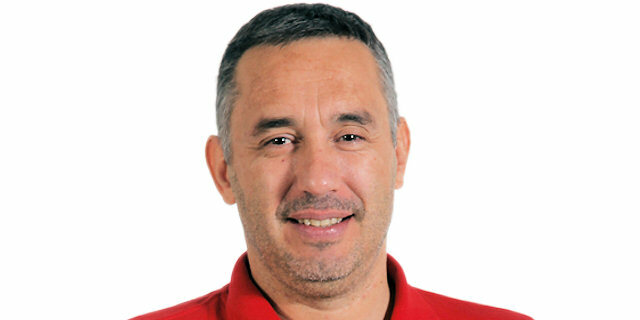 Elmedin Kikanovic led the way for ALBA with 15 points, Dominique Johnson netted 14 points, Malcolm Miller collected 11 points and 8 rebounds, Engin Atsur scored 10 and Peyton Siva delivered 7 assists for ALBA. 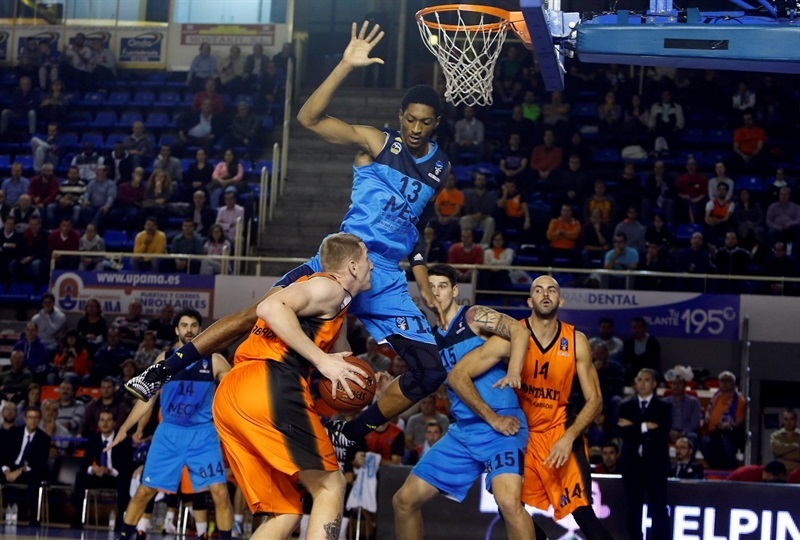 Fuenlabrada outrebounded ALBA 43-26 and made 15 of 26 three-point shots (57.7%), which were keys to the win. 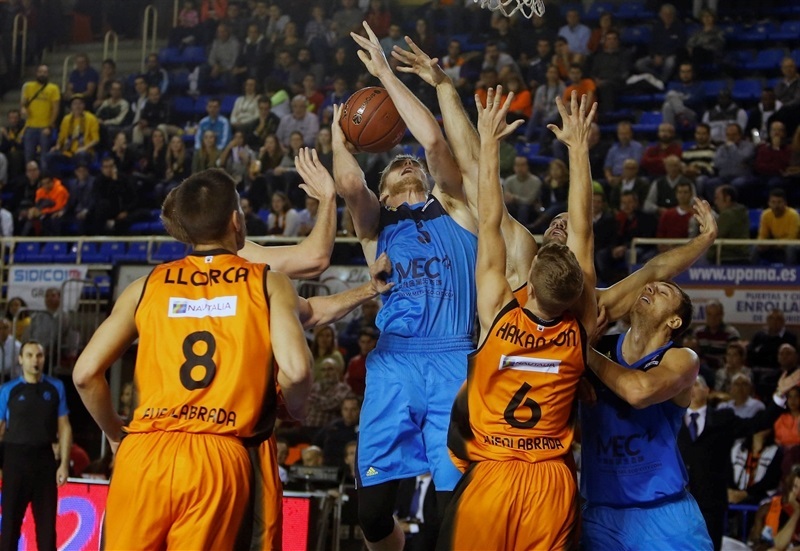 Niels Giffey and Dragan Milosavljevic helped ALBA to an early 4-5 lead. 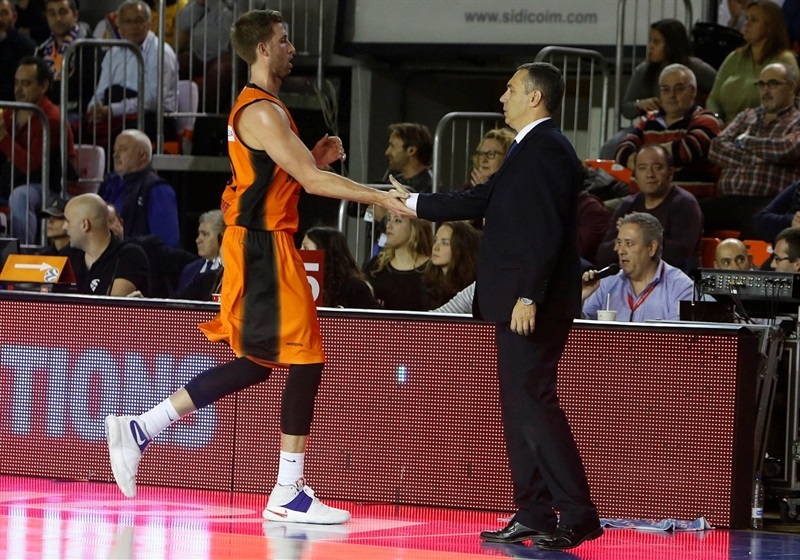 Paunic struck from downtown, igniting an 11-0 run in which Hakanson hit back-to-back triples to give Fuenlabrada get a 17-7 lead. 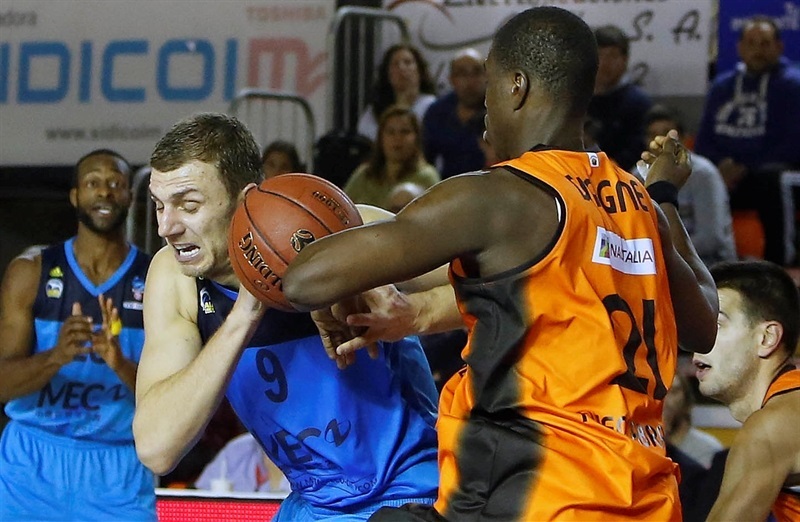 Paunic and Hakanson kept pacing Fuenlabrada and a put-back basket by David Wear kept his team way ahead, 26-17. Smits joined the three-point shootout, but Miller kept ALBA within 29-21 after 10 minutes. 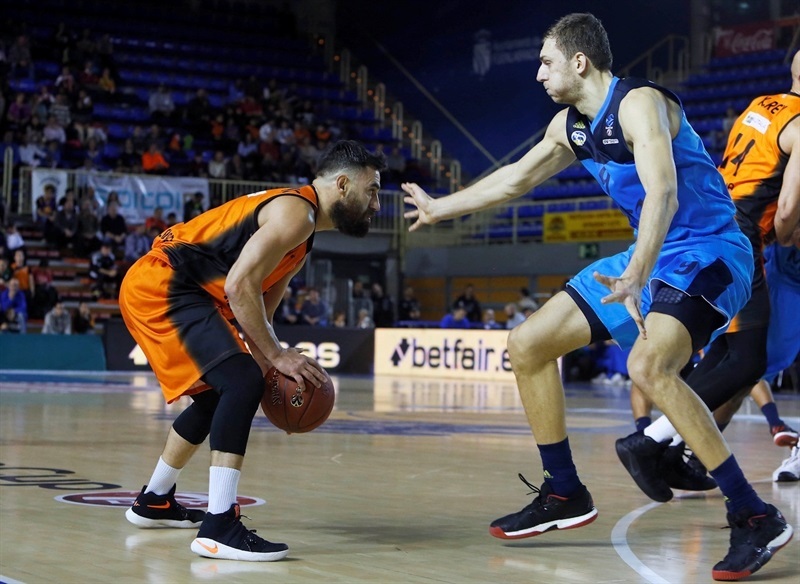 Fuenlabrada found a new go-to guy in Xavi Rey and also got help from Rupnik, whose three-pointer broke the game open, 40-25. 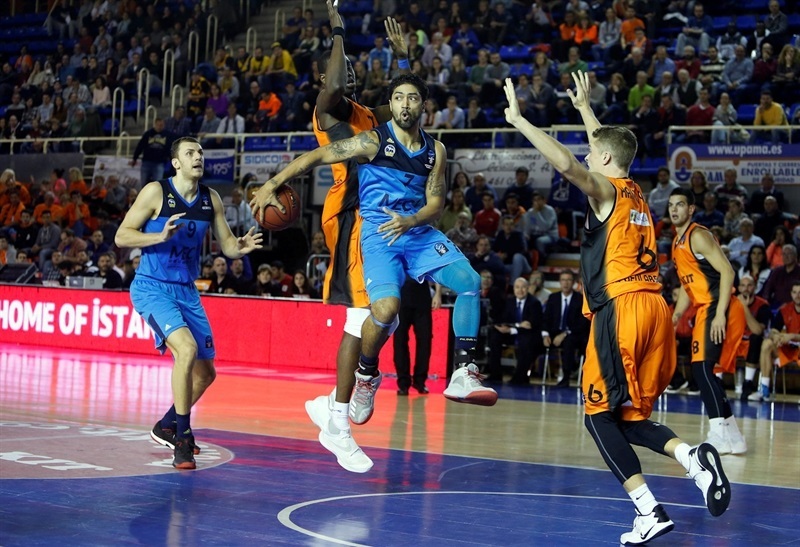 Siva and Atsur tried to change things for ALBA, but Fuenlabrada kept going and finding good shots. Paunic and Rupnik allowed the hosts to boost their margin to 57-38 at halftime. 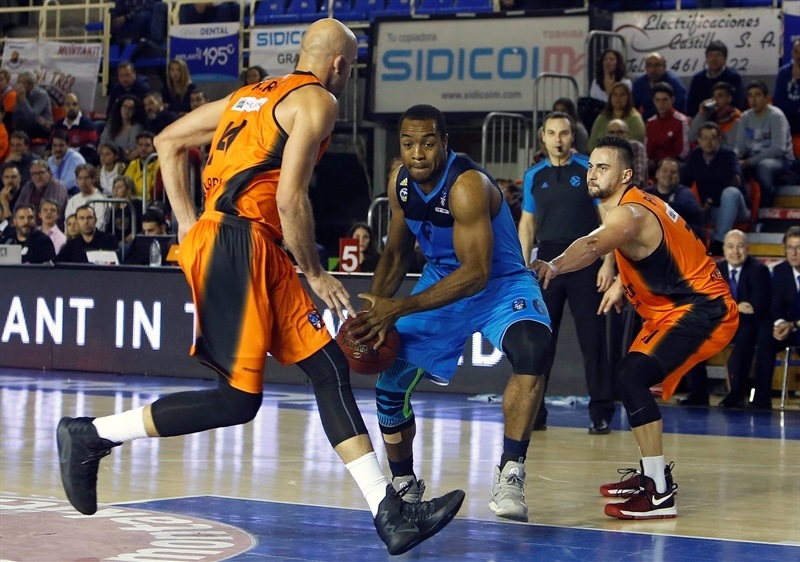 Johnson had 5 points soon after the break, but Hakanson and an unstoppable Paunic kept Fuenlabrada fully in charge, 64-45. 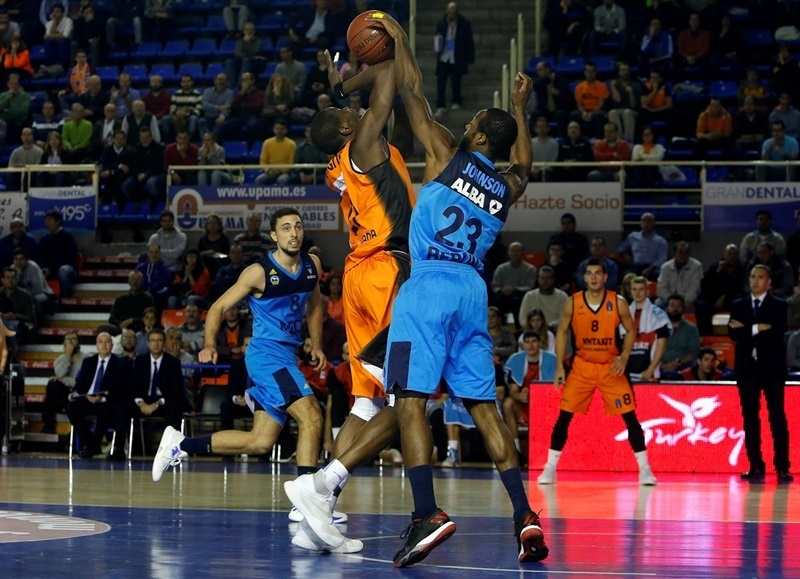 Johnson hit another three-pointer and Atsur made free throws, but ALBA only managed to trade baskets, as a three-point play by Paunic gave Fuenlabrada a 72-55 lead. Smits and Rupnik gave the hosts a 78-62 lead after 30 minutes. Three-pointers by Pako Cruz, Rupnik, Smits and Hakanson all but sealed the outcome at 92-69 early in the fourth quarter. "First of all, congrats to my players because we played a great game. We lead the game from the very beginning. We shot a high percentage, especially thanks to Hakanson, Rupnik, Paunic and Smits. Everyone did a good job in defense against a very good team, and we dominated the rebounds. We enjoyed a lot, the team and the fans."